The existing roofing had began to leak in several areas. We did a moisture scan to determine any wet areas to be removed. 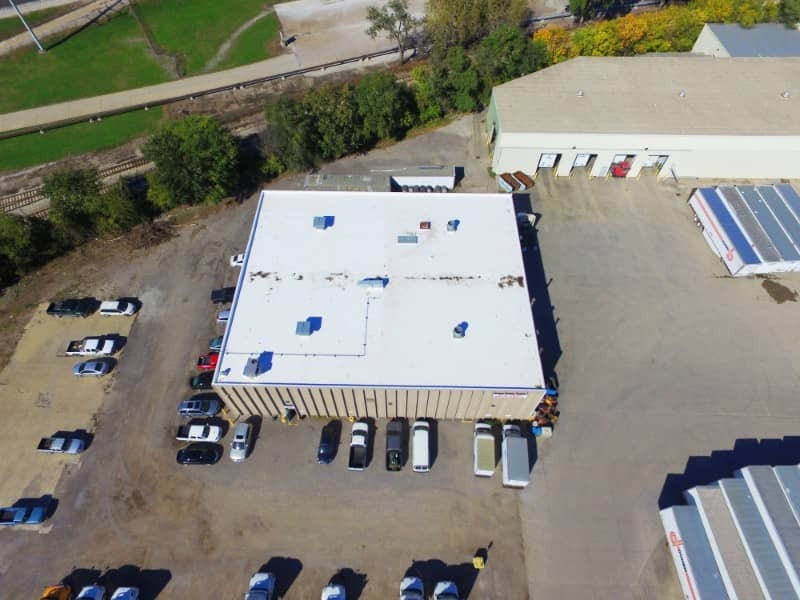 After removing a few small areas we were able to install our Duro-Last roofing over the existing roofing to save the client money. We have installed over 250,000 Sq.ft. of roofing over the past 20 years for Dohrn Transfer Company. Both Urethane foam and coatings and Duro-Last roofing system have be used.